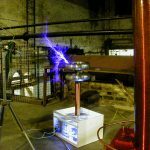 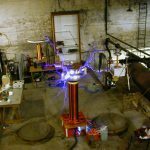 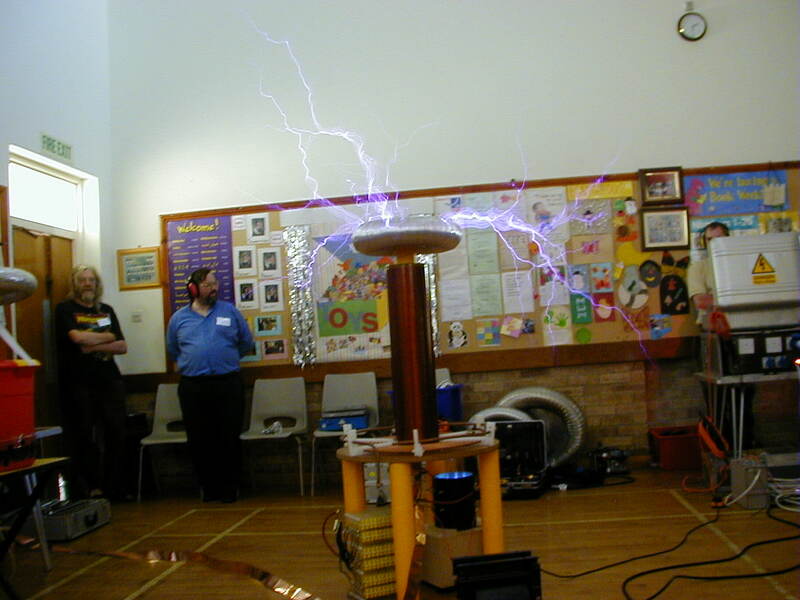 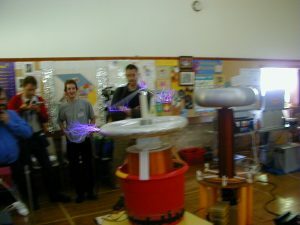 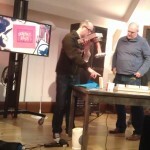 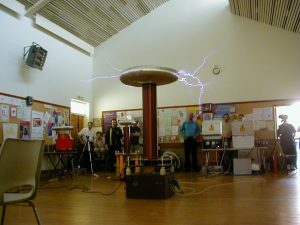 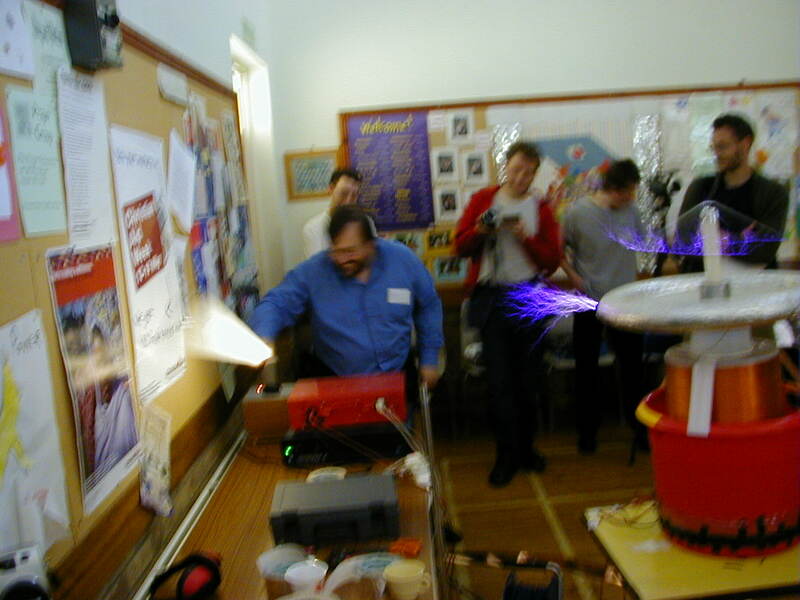 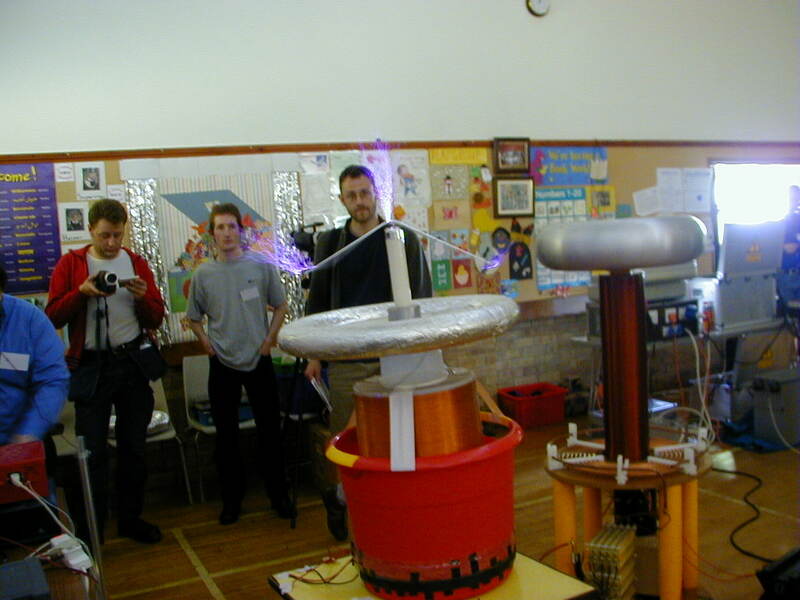 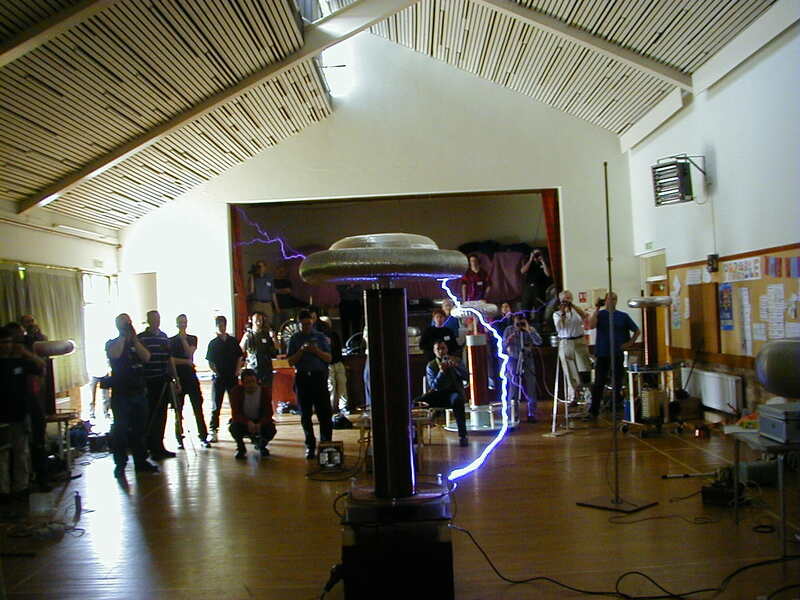 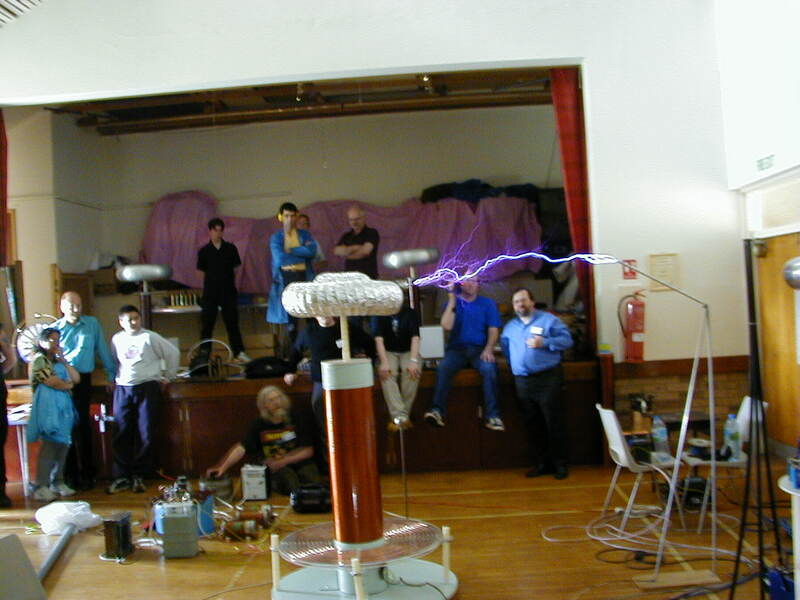 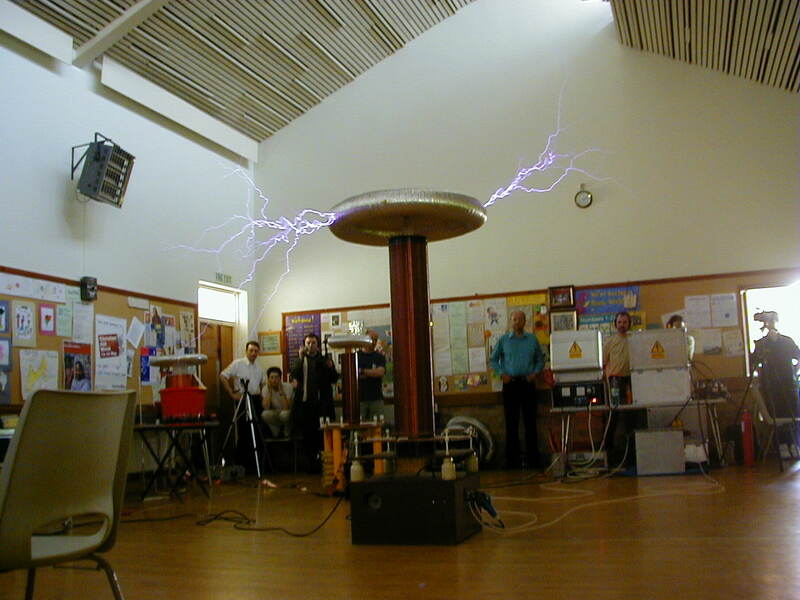 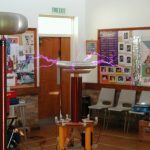 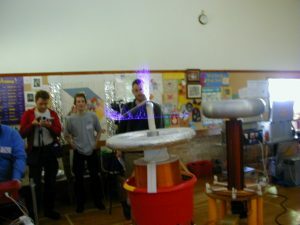 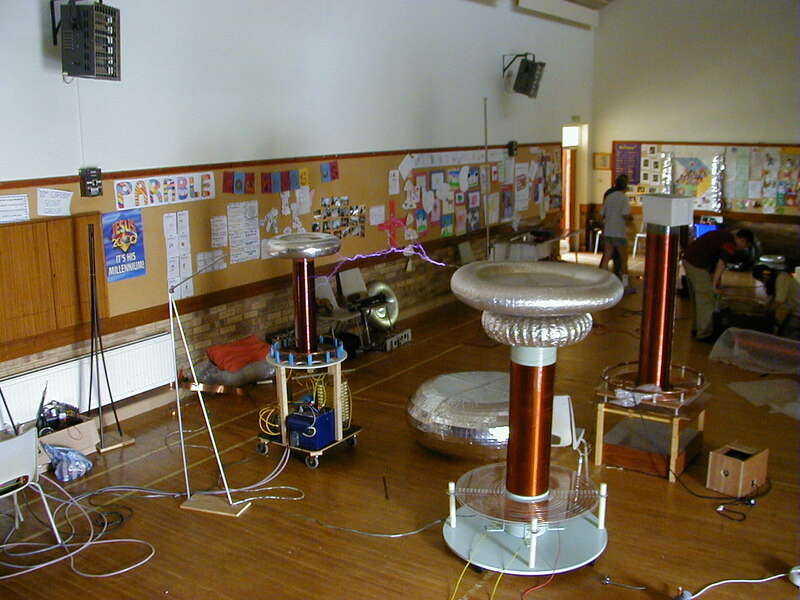 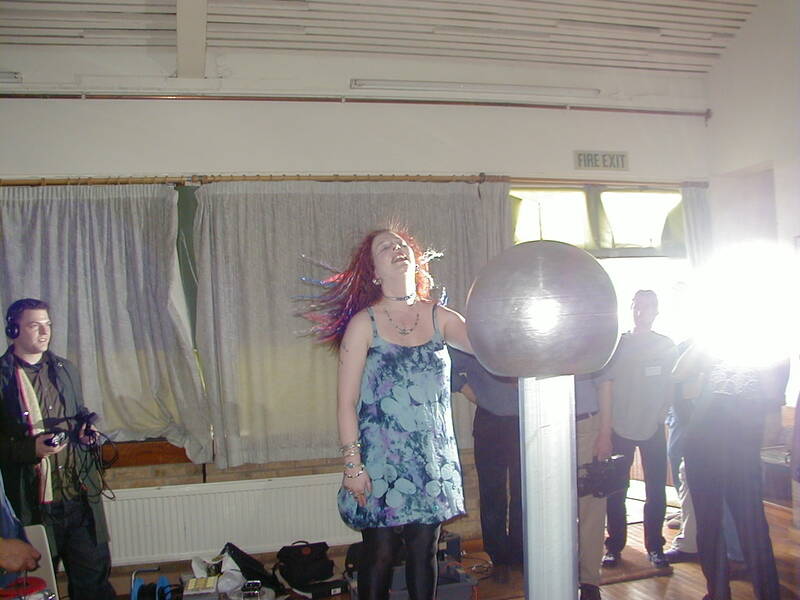 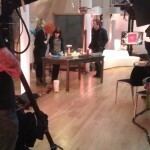 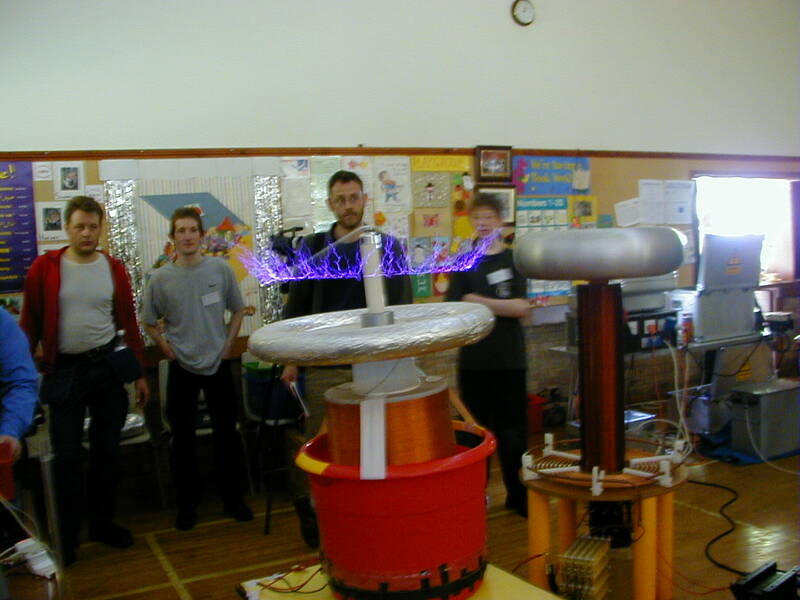 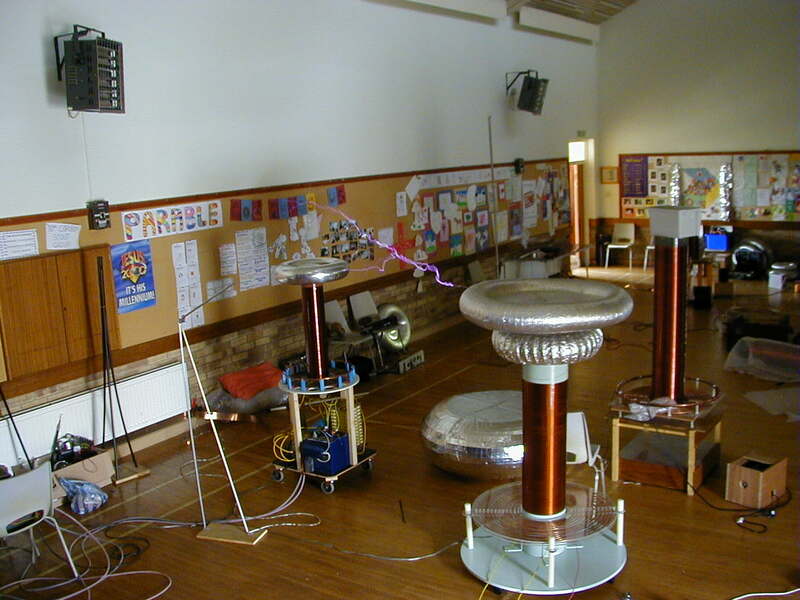 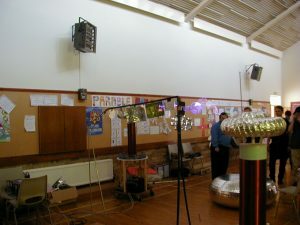 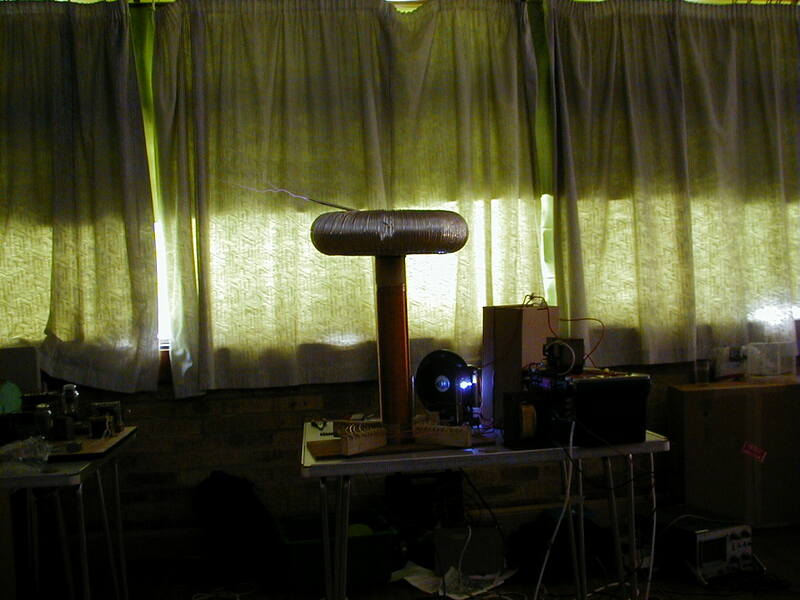 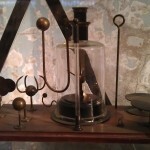 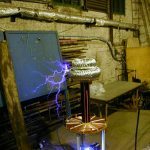 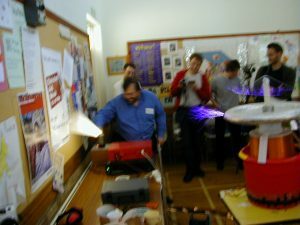 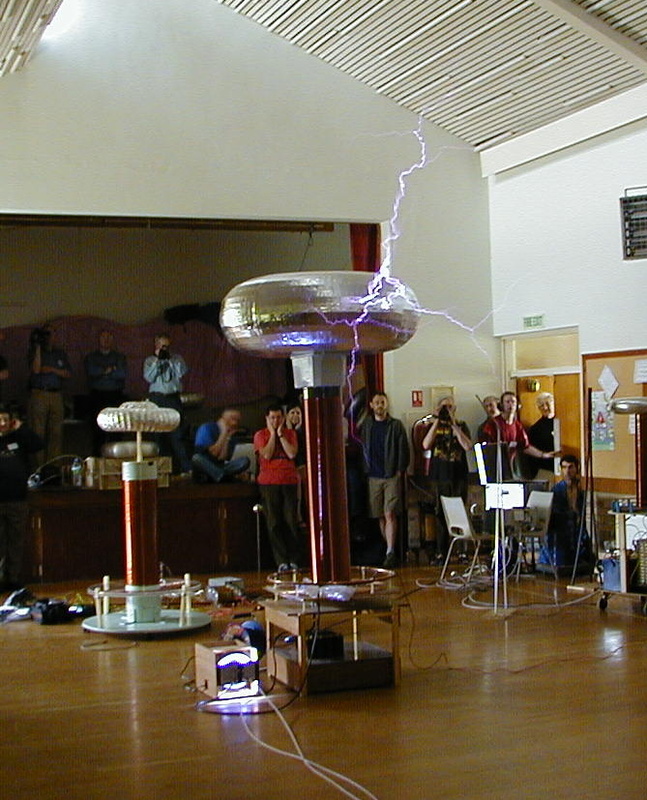 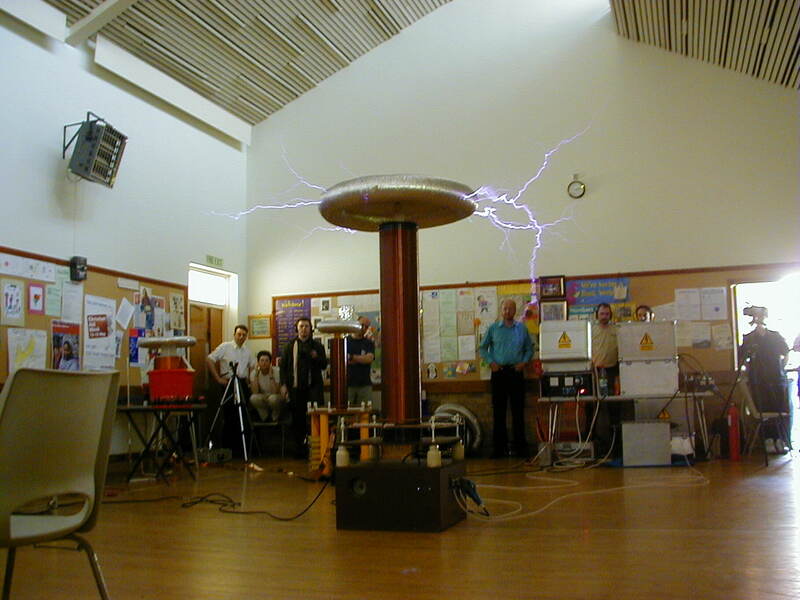 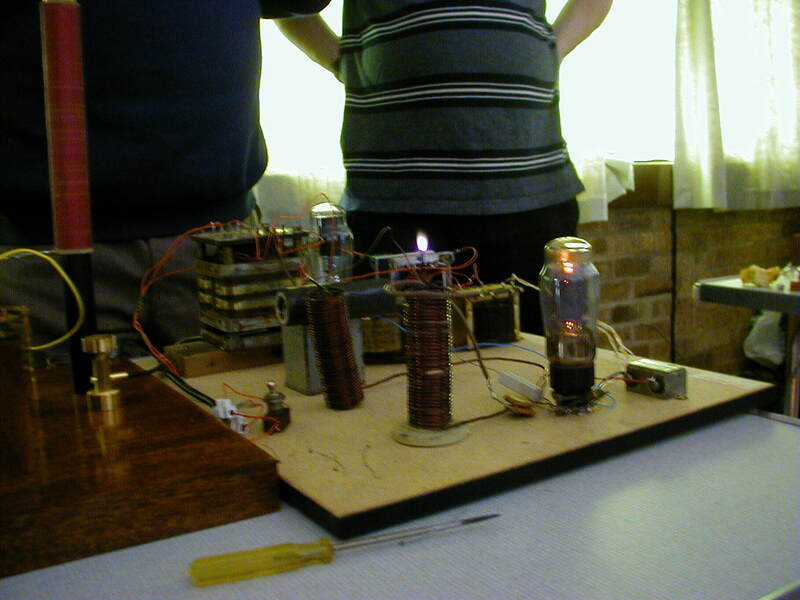 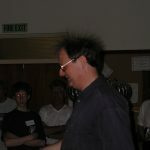 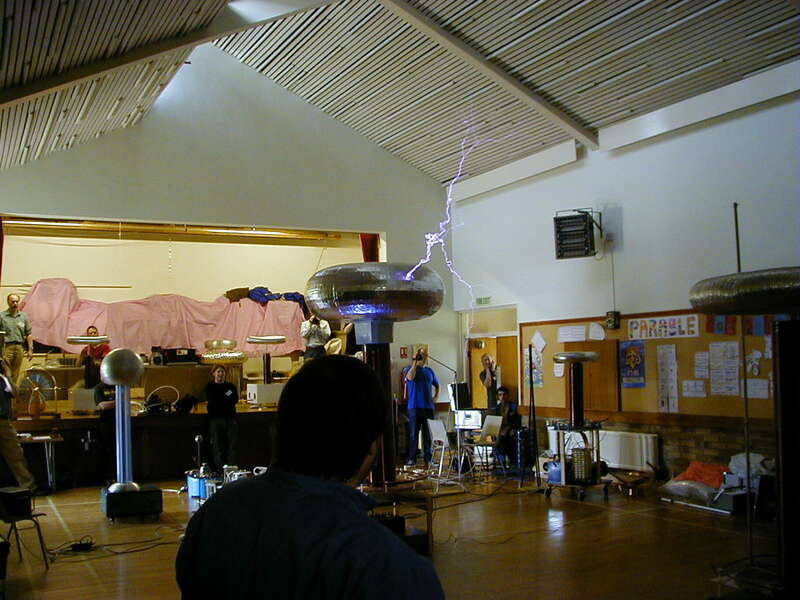 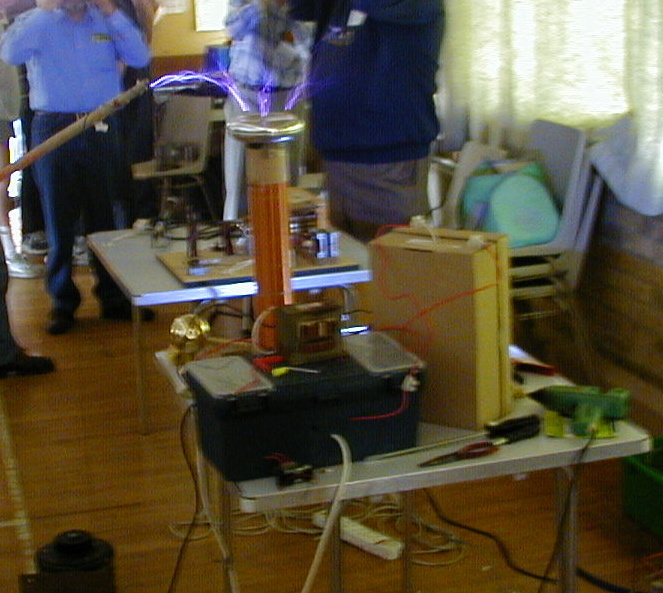 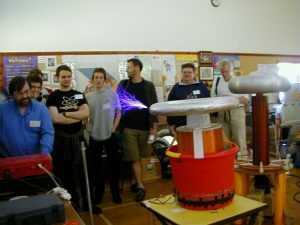 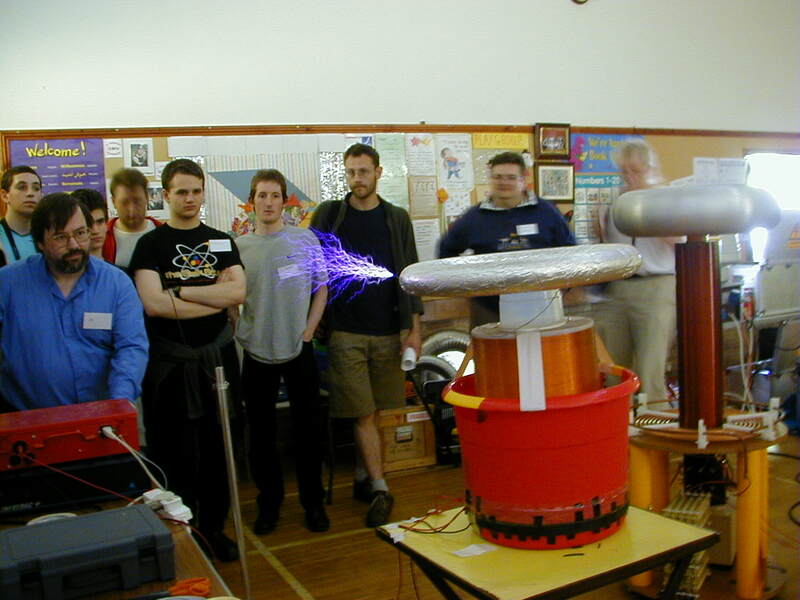 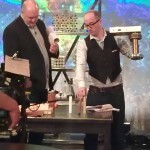 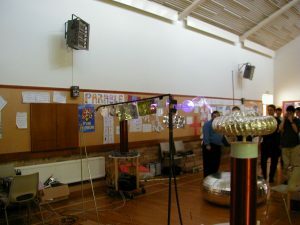 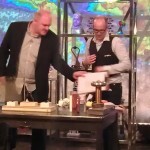 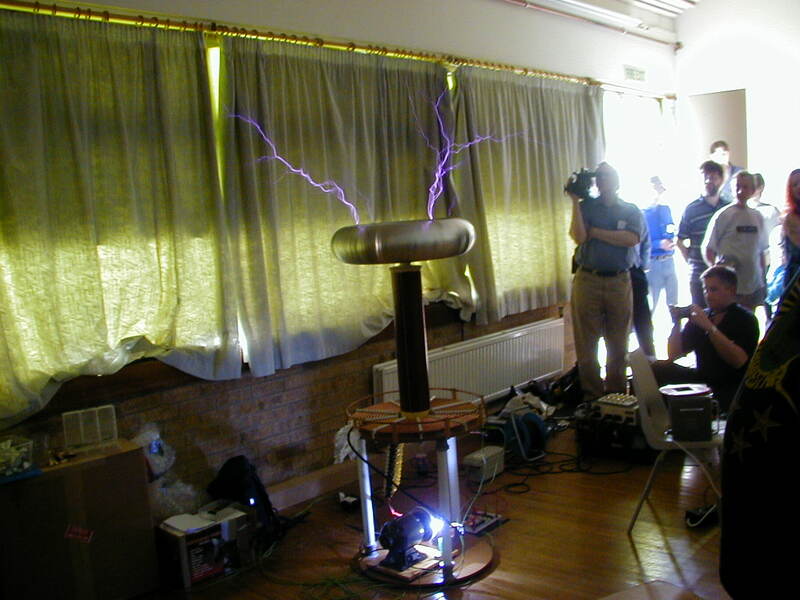 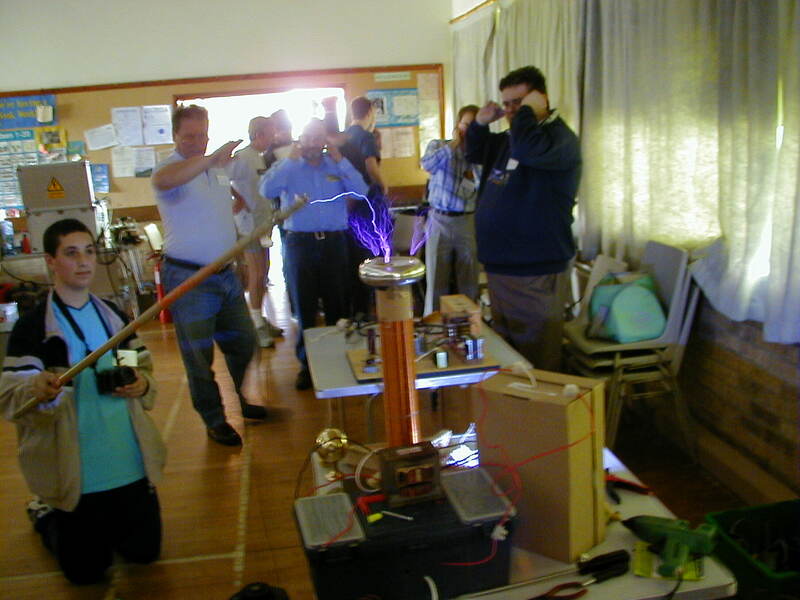 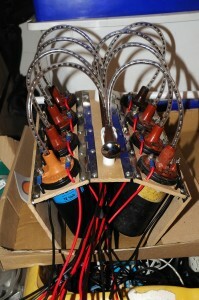 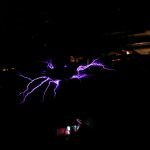 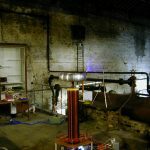 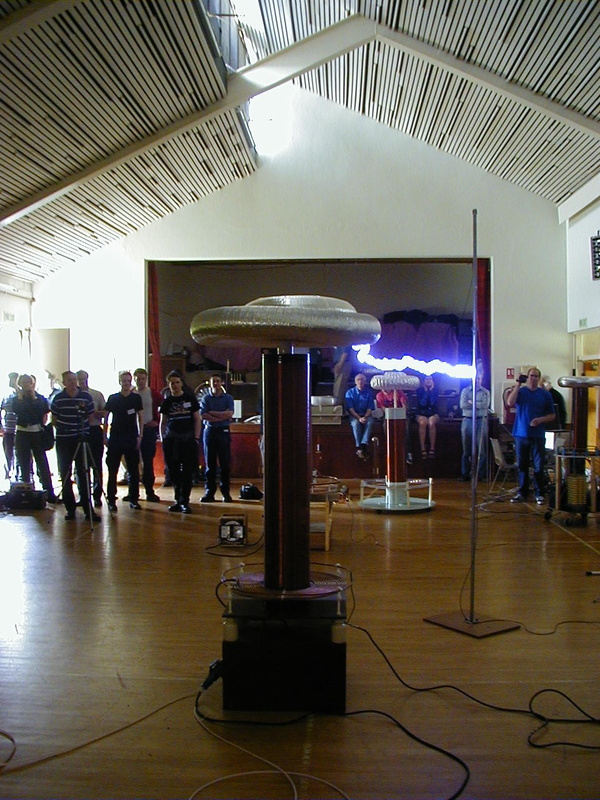 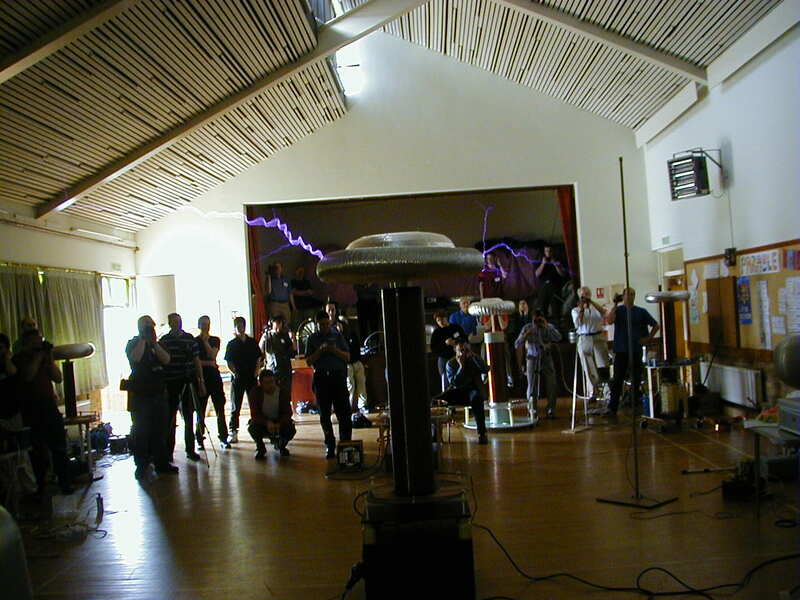 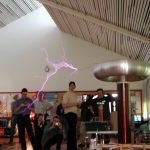 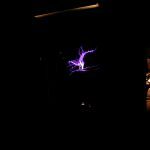 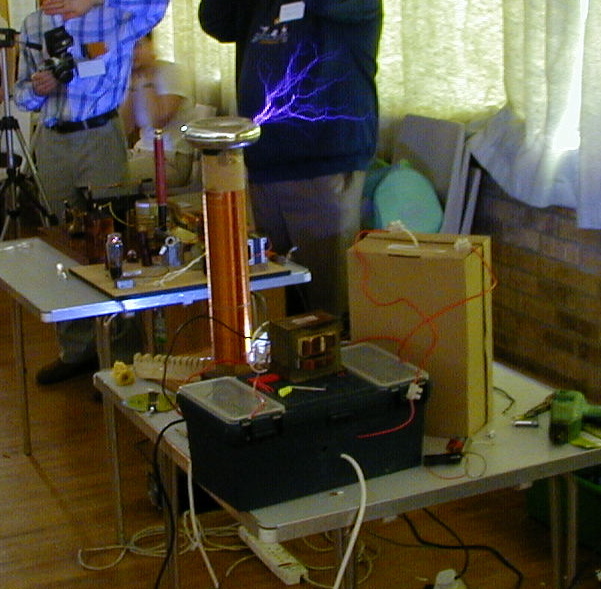 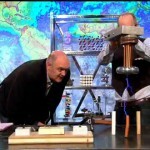 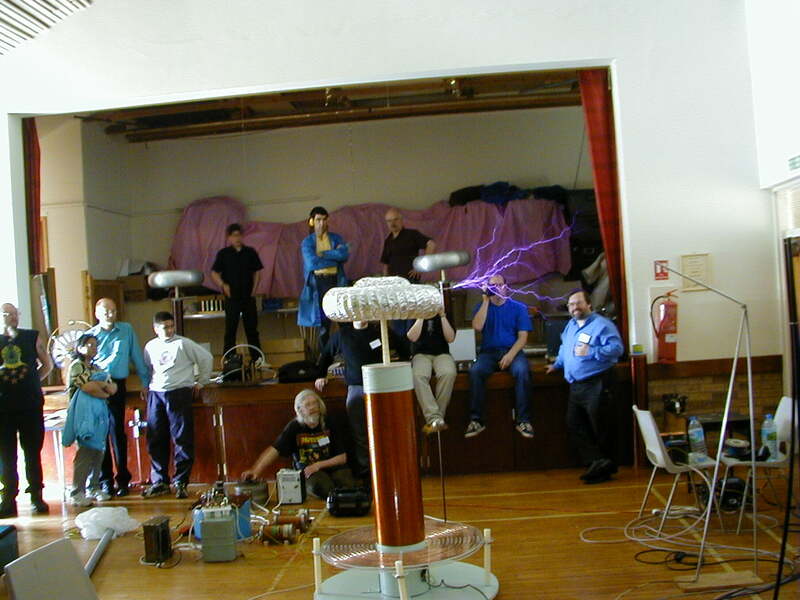 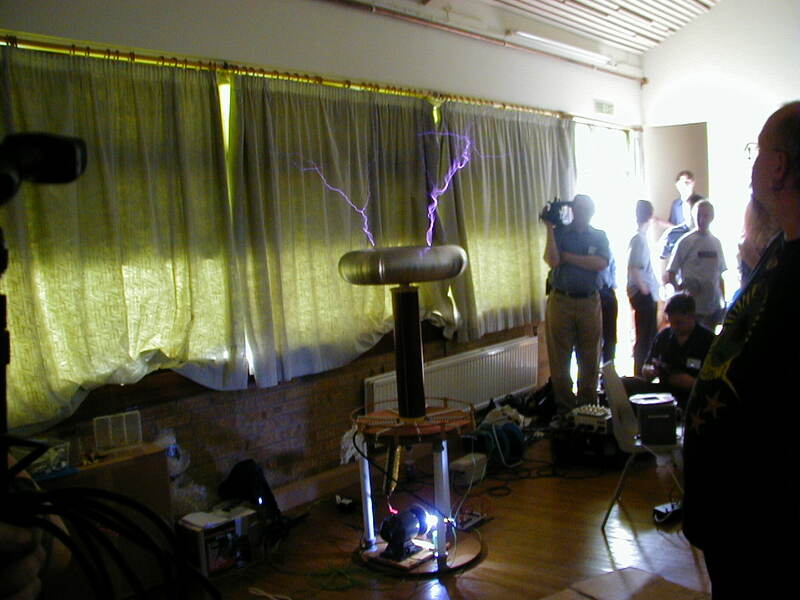 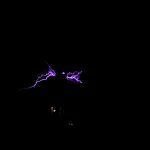 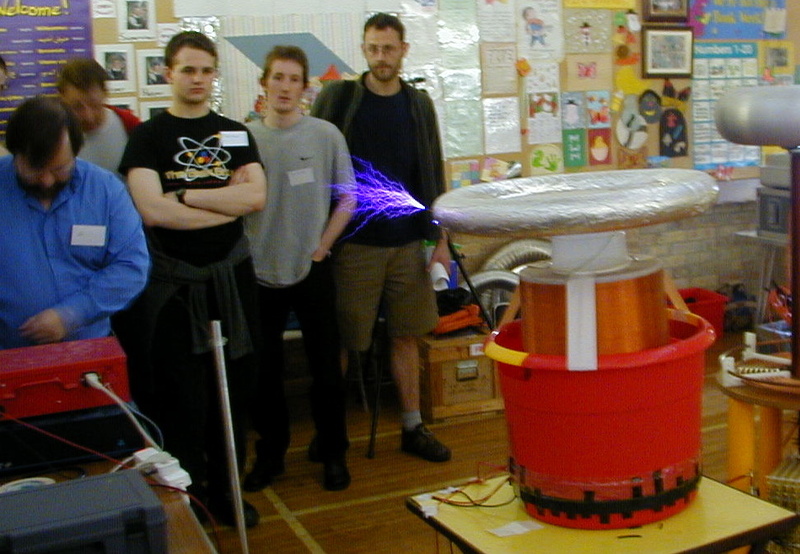 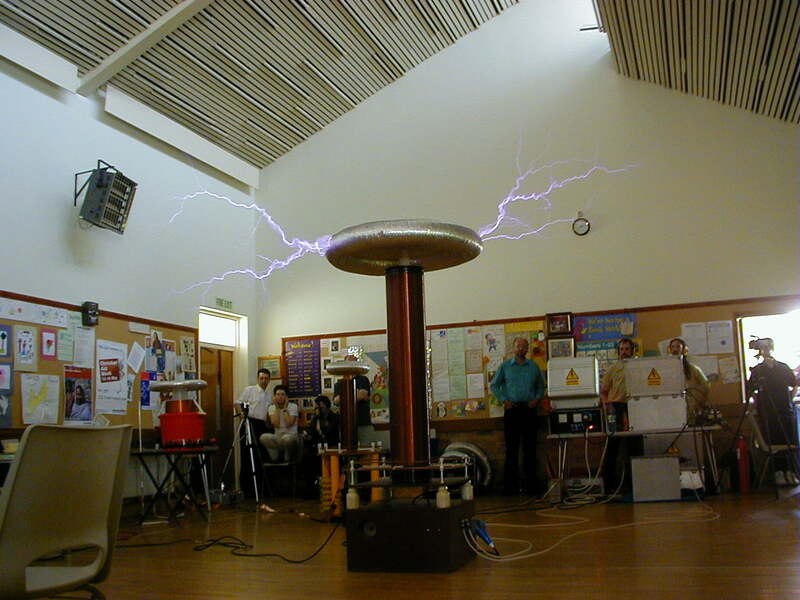 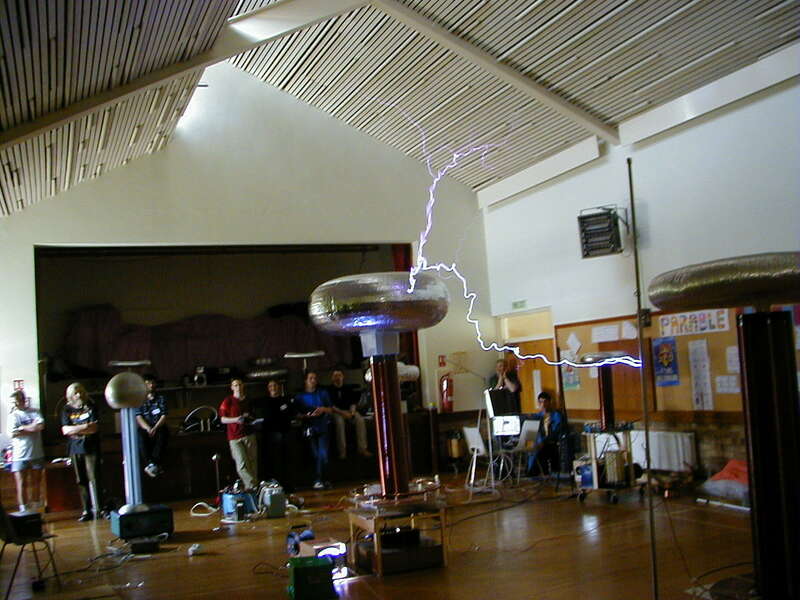 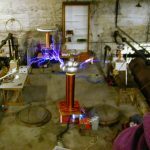 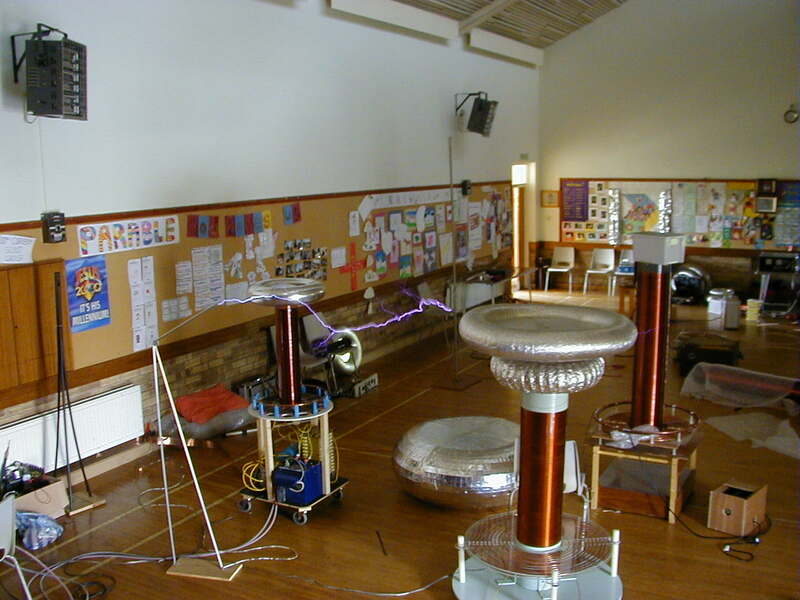 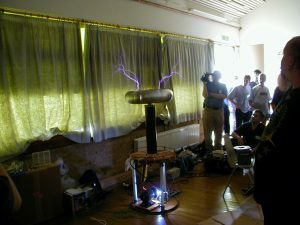 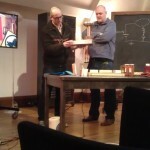 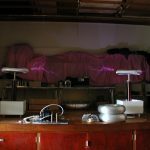 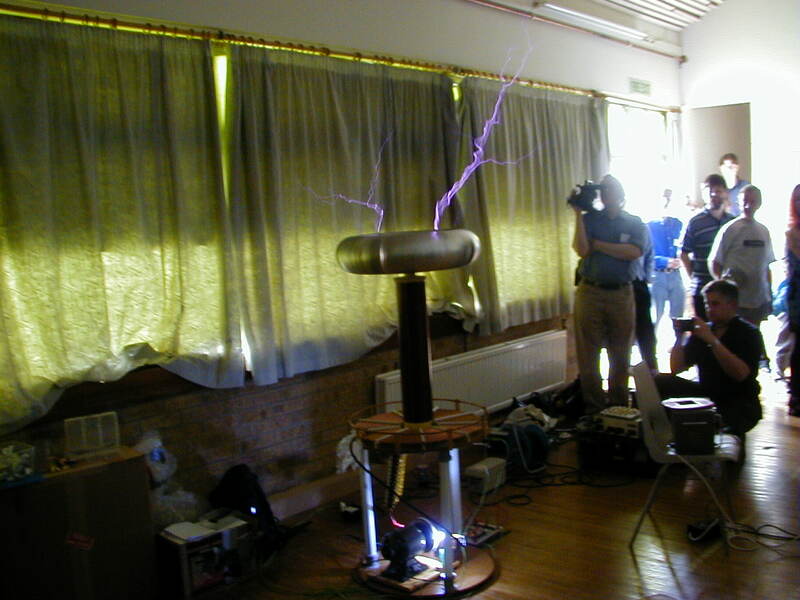 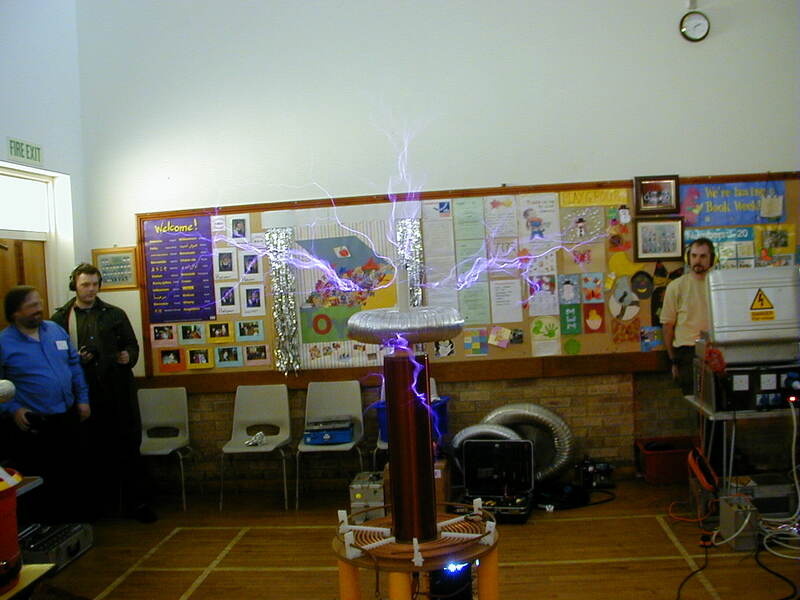 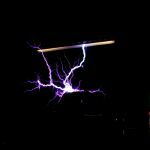 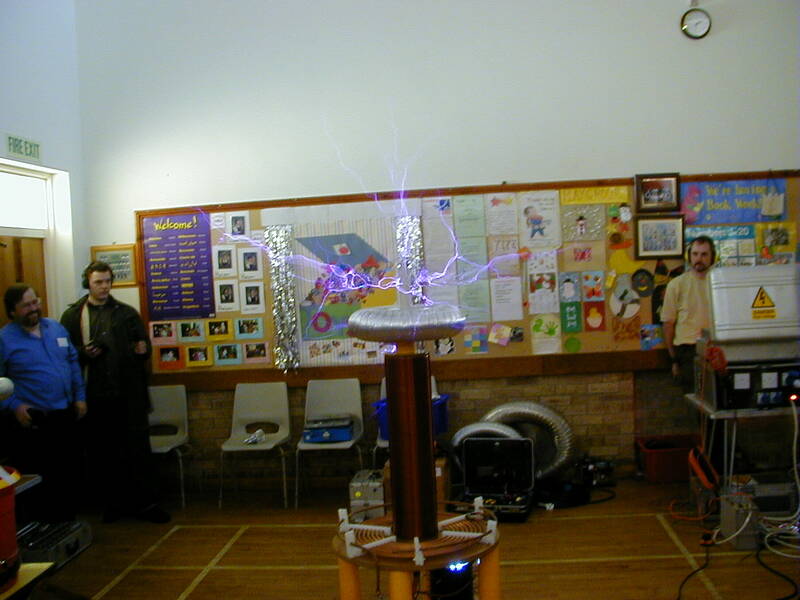 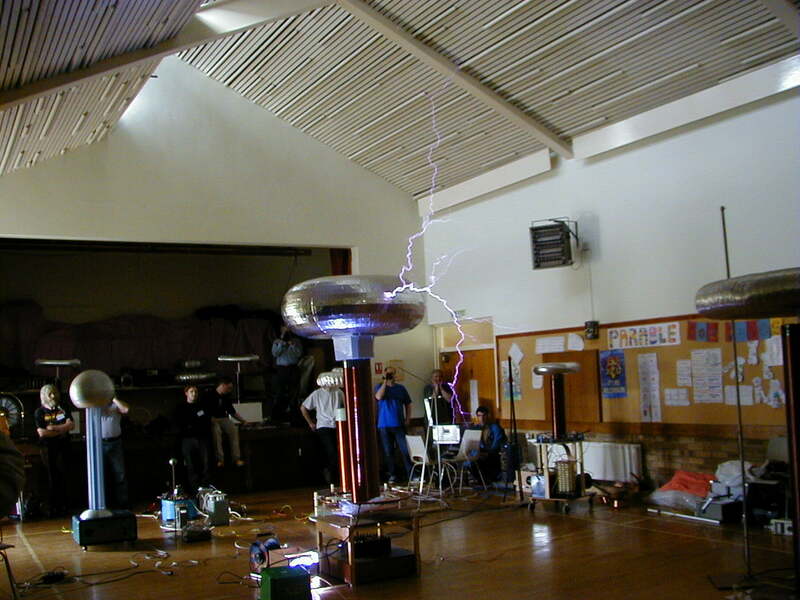 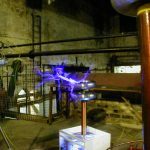 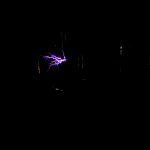 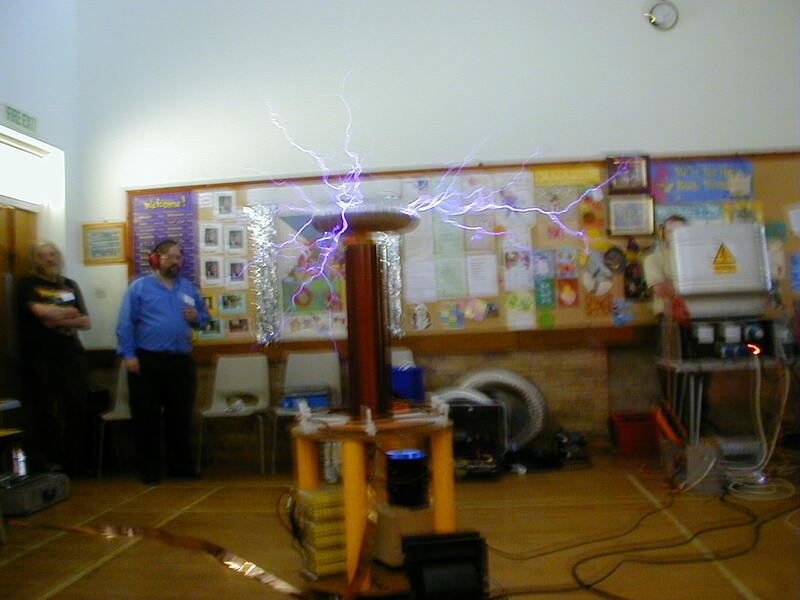 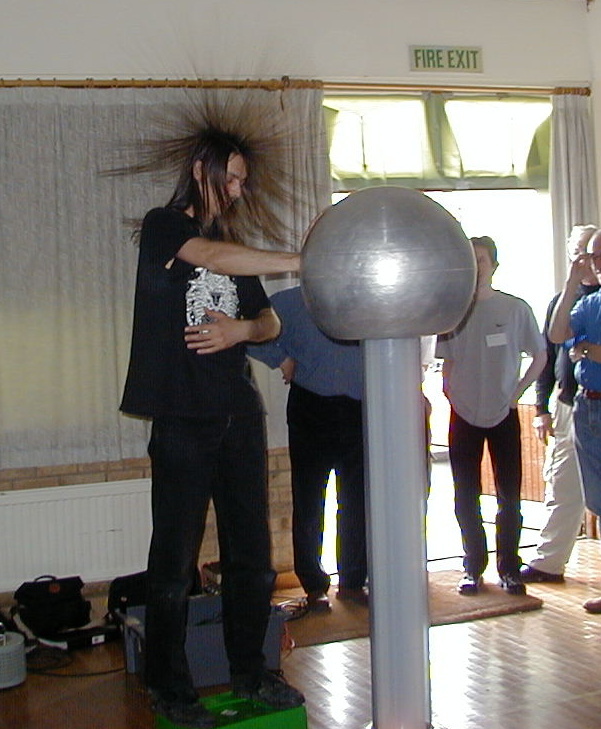 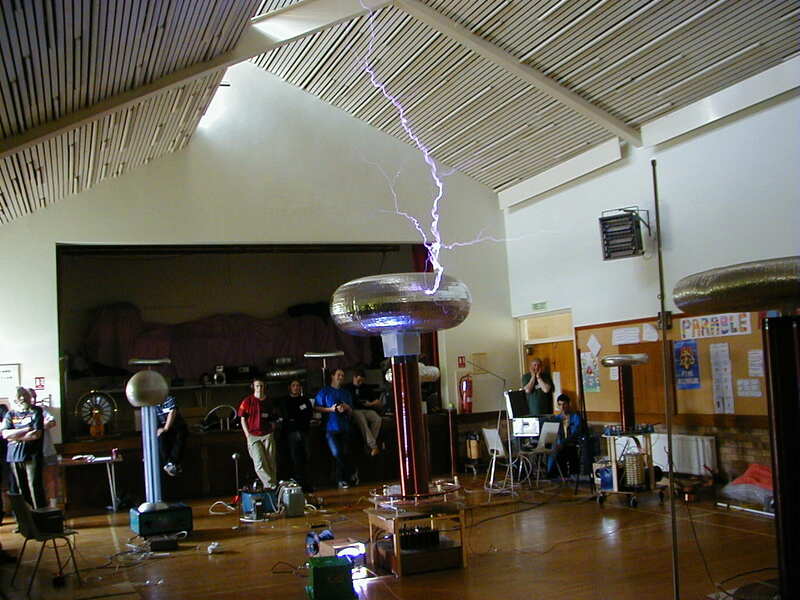 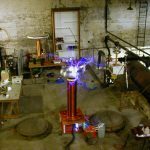 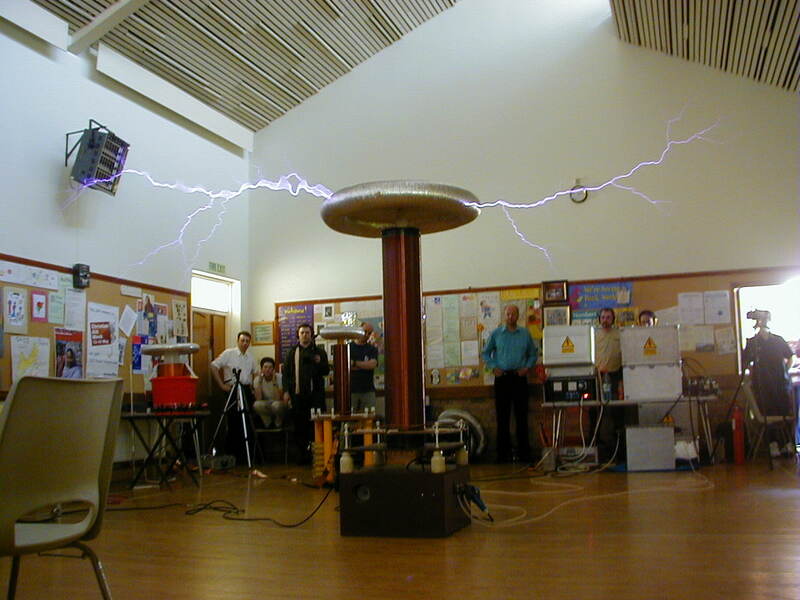 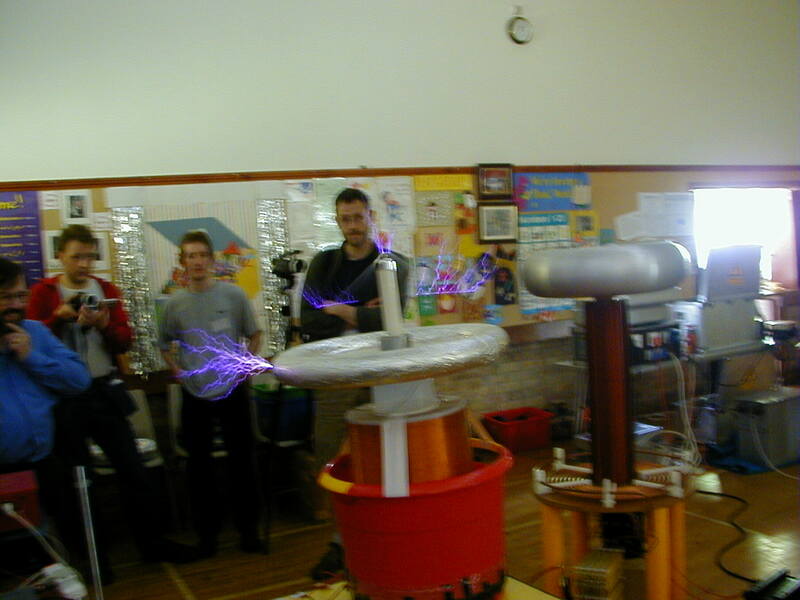 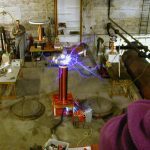 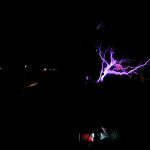 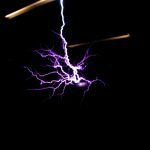 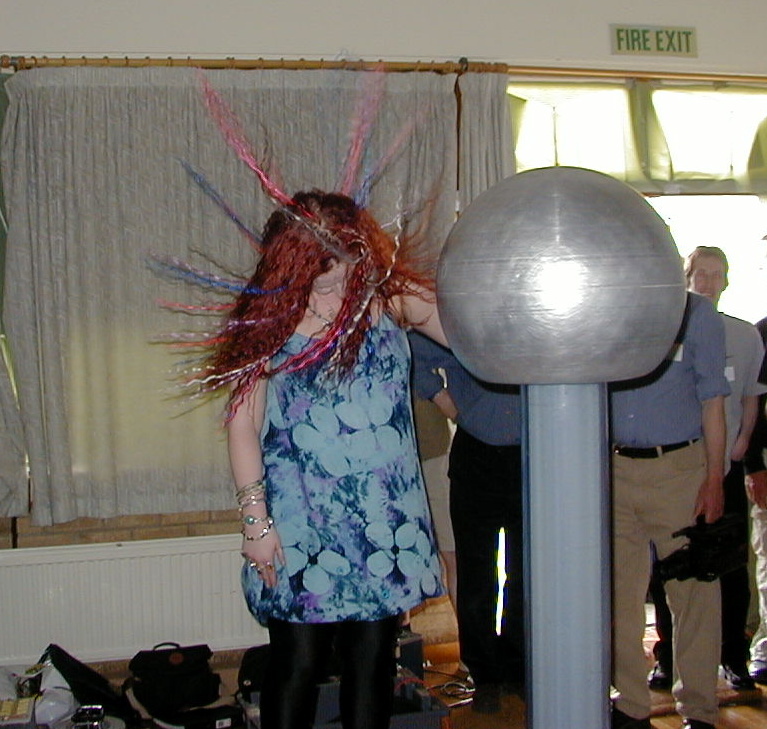 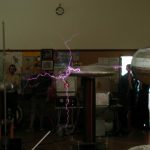 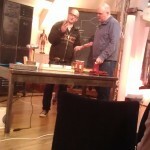 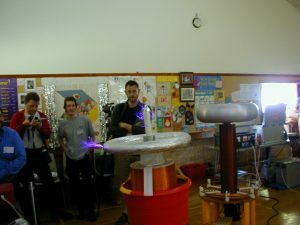 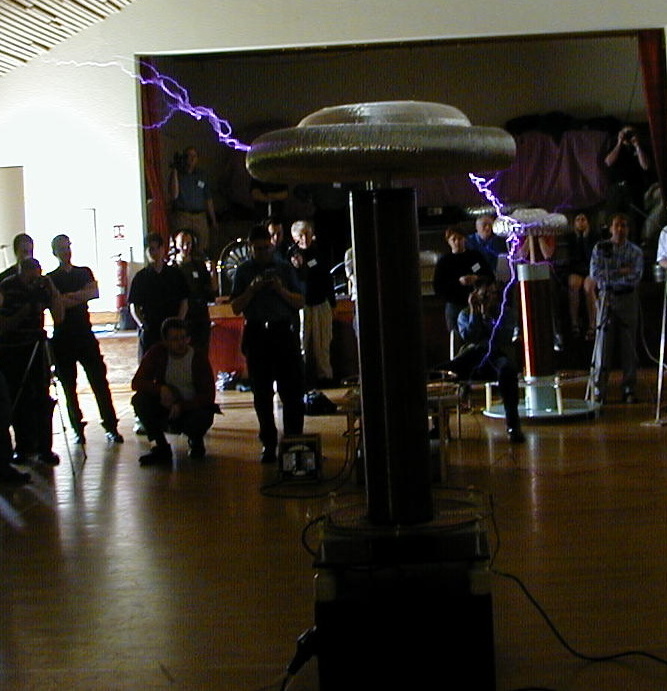 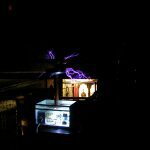 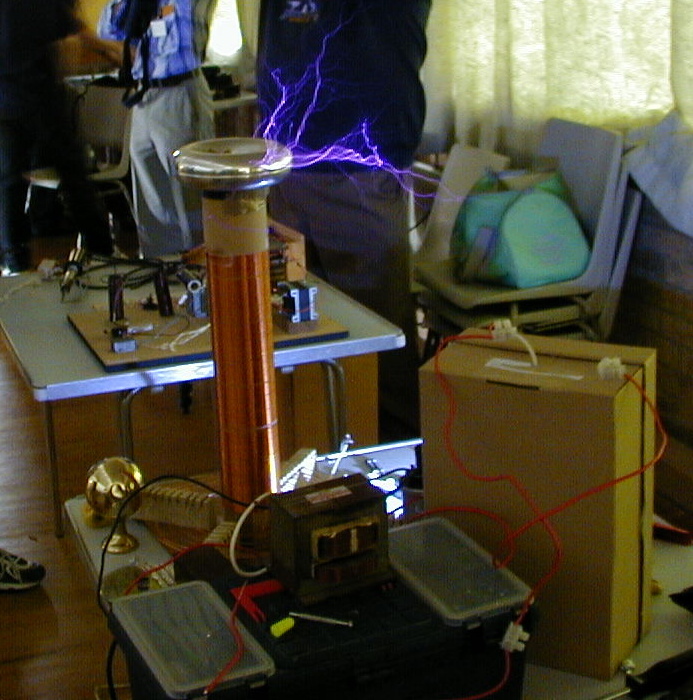 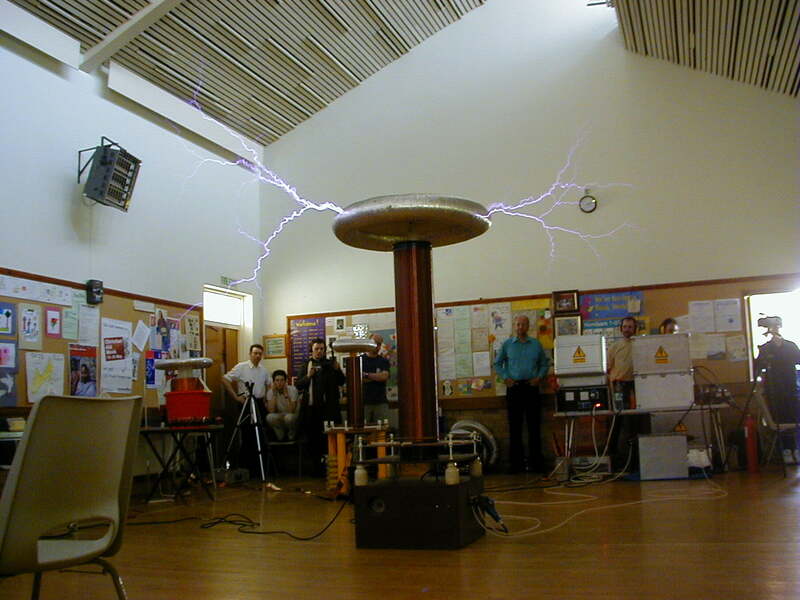 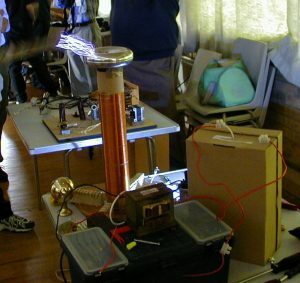 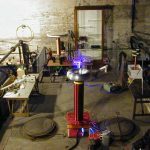 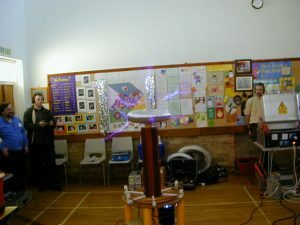 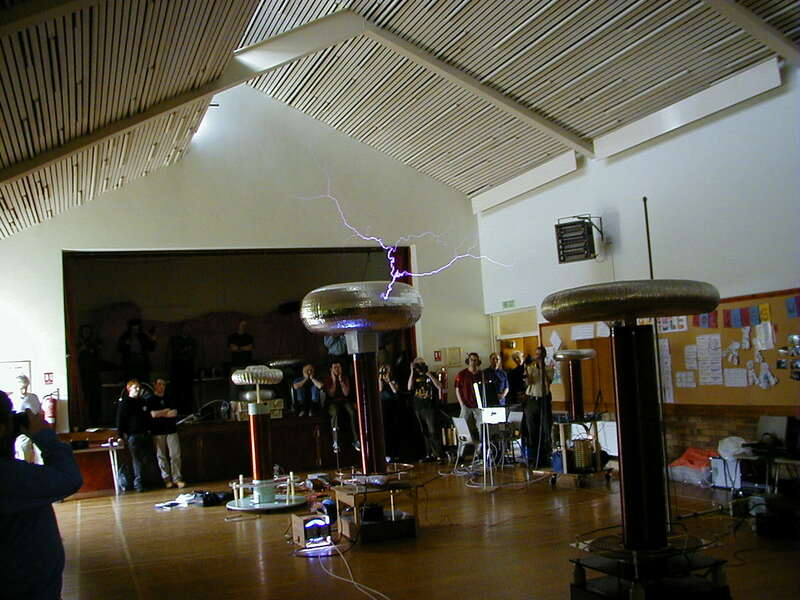 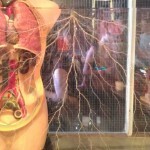 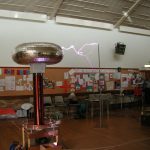 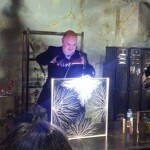 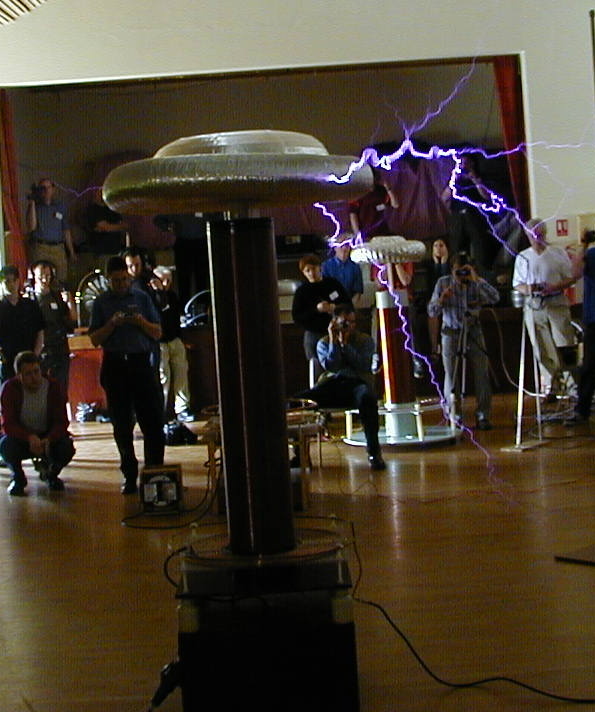 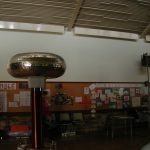 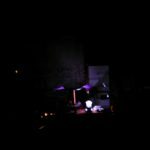 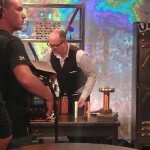 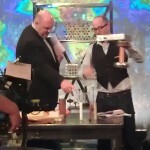 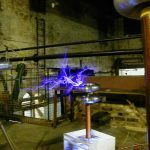 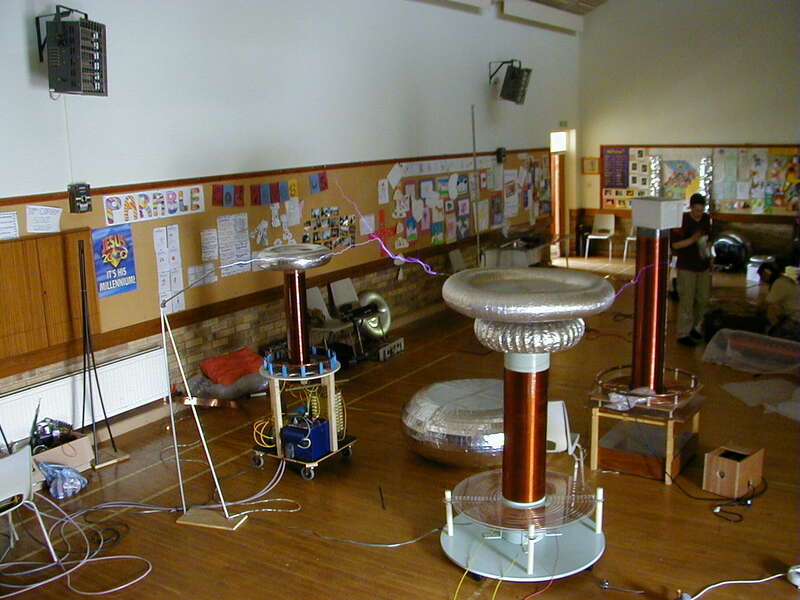 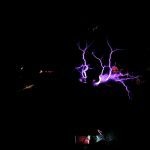 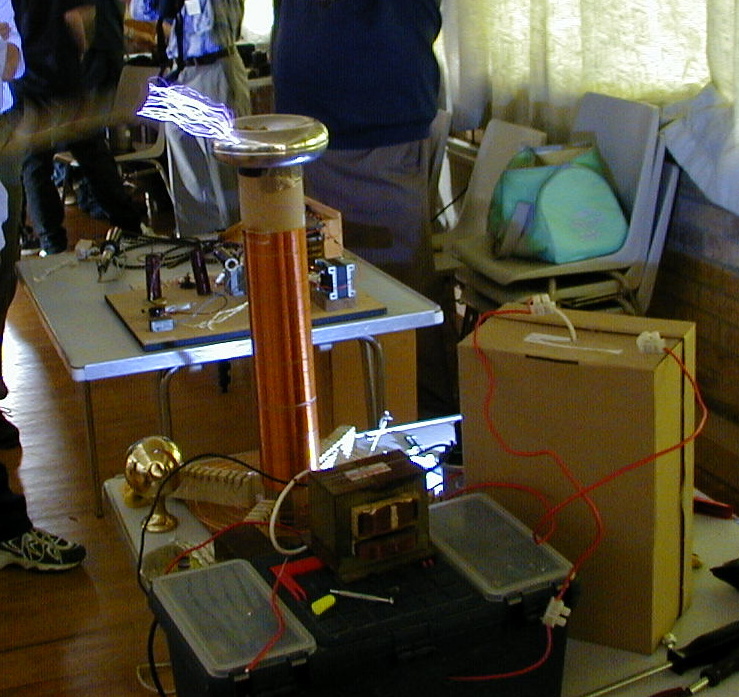 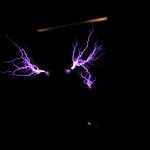 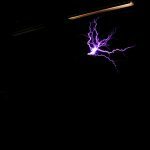 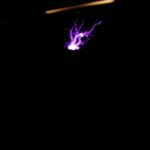 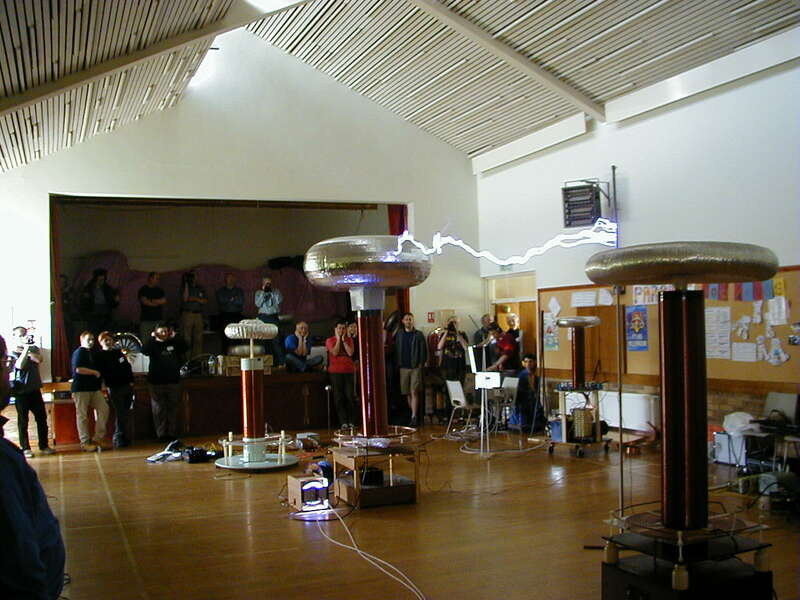 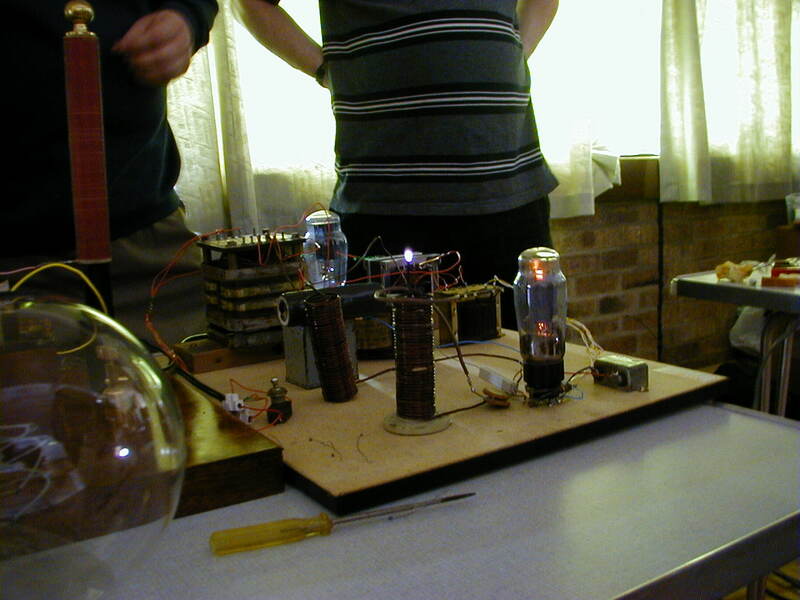 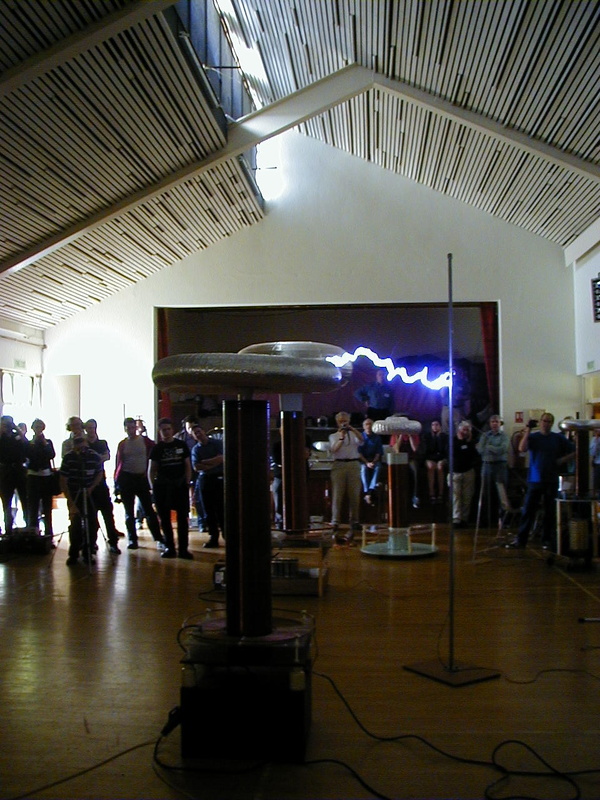 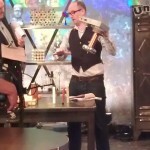 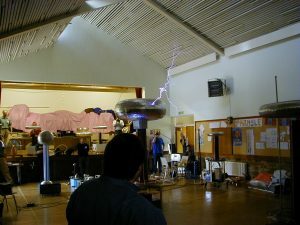 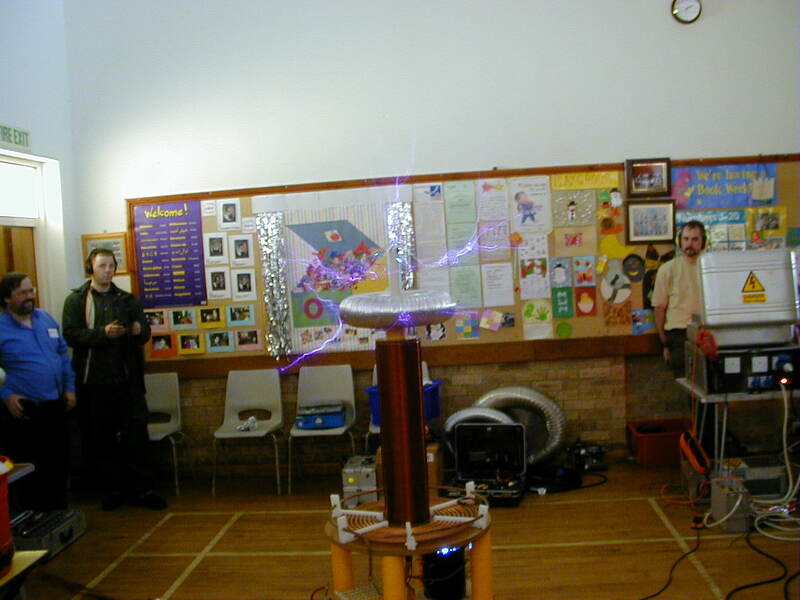 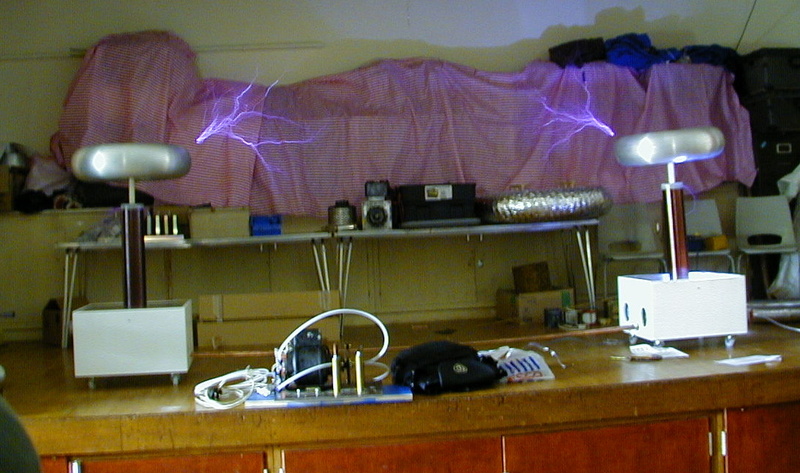 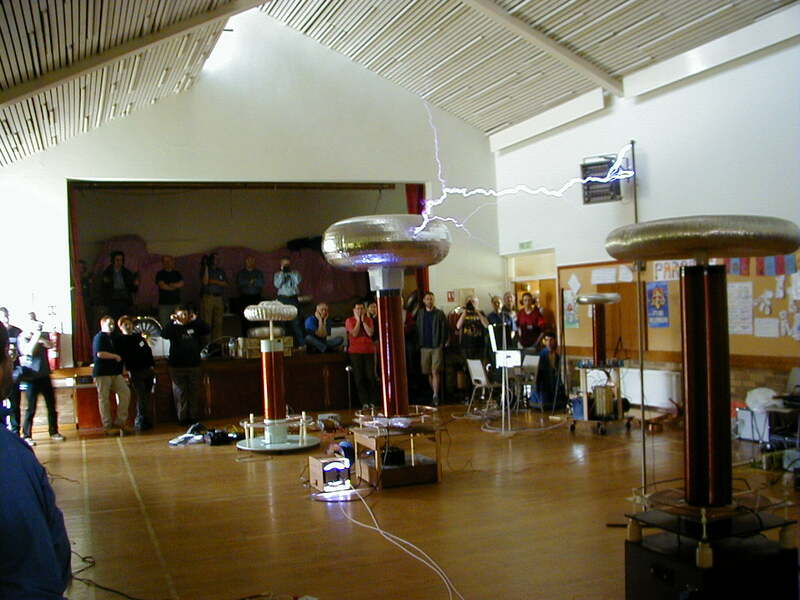 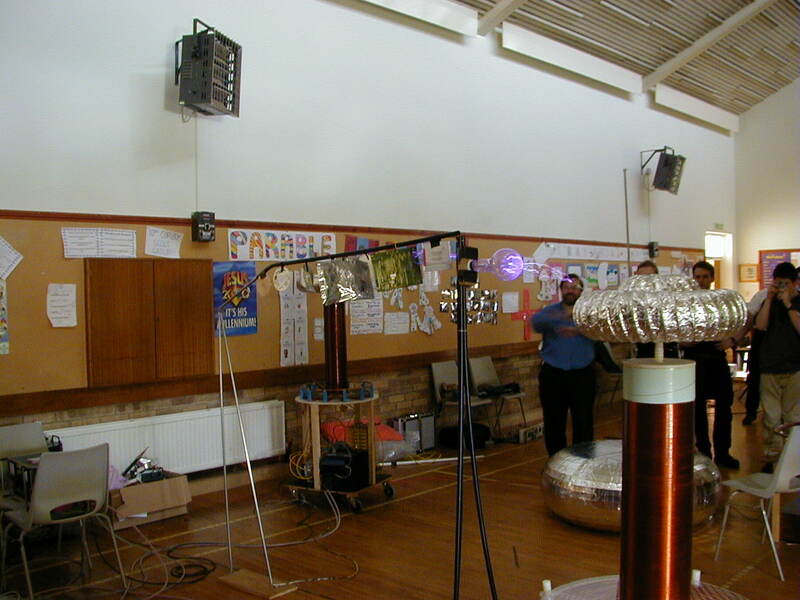 Finally, Power from a tesla coil – Free energy? 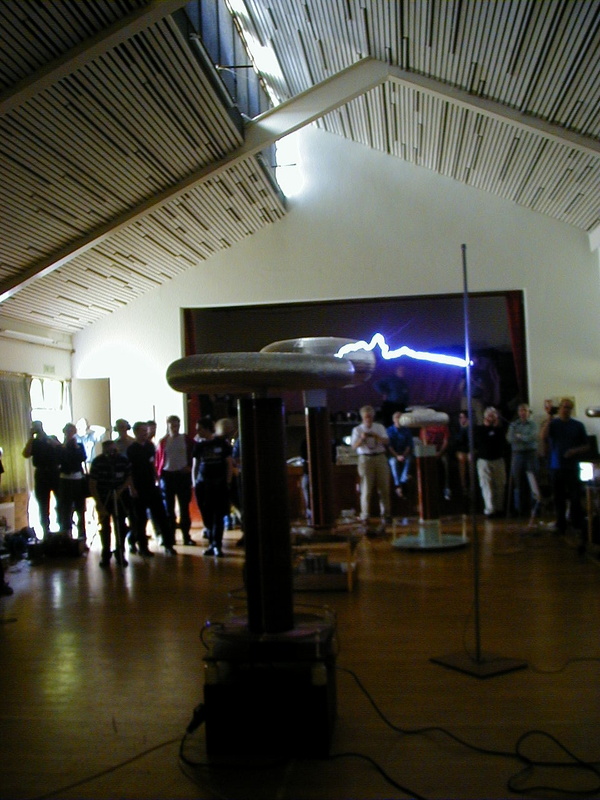 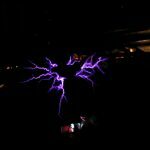 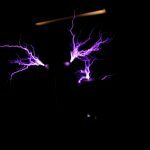 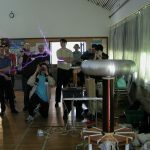 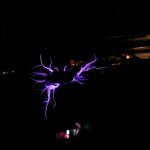 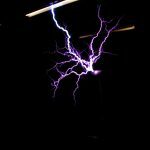 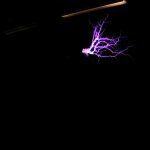 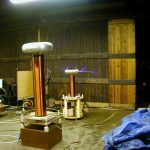 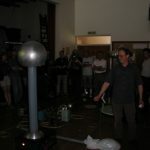 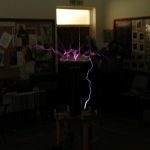 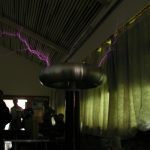 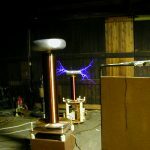 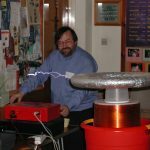 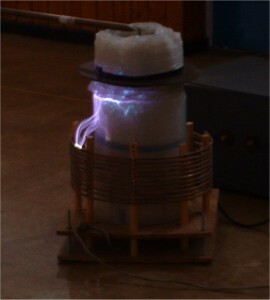 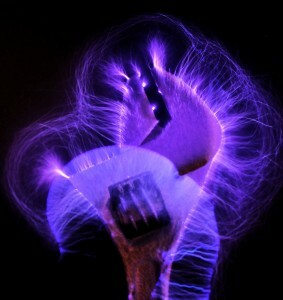 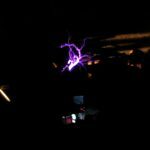 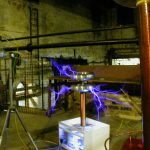 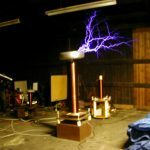 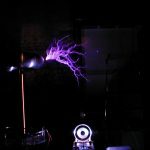 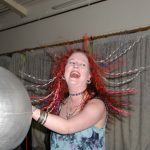 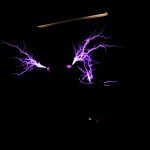 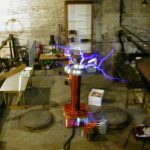 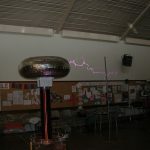 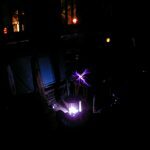 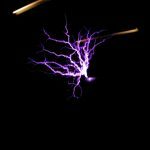 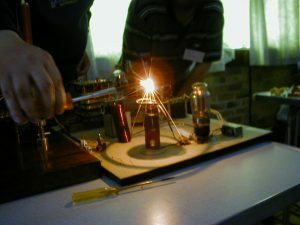 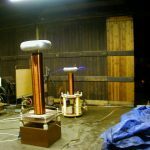 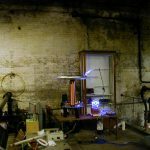 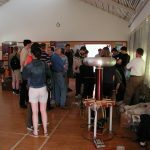 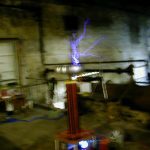 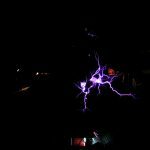 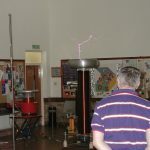 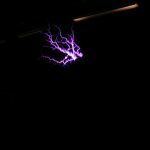 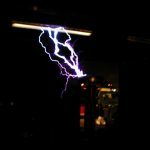 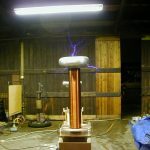 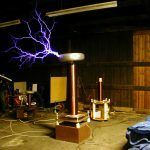 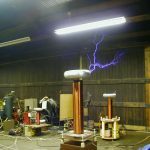 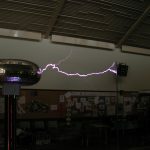 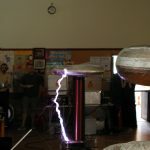 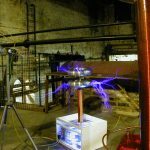 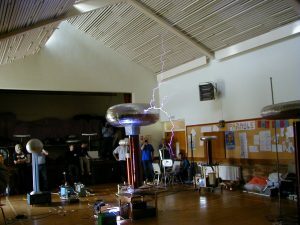 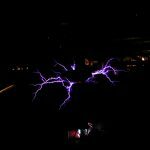 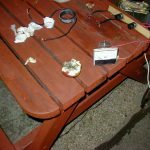 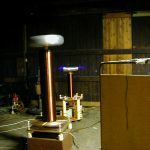 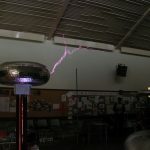 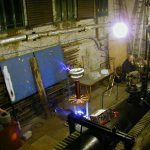 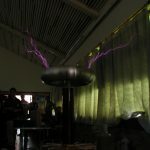 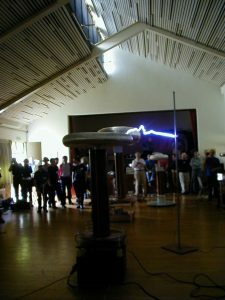 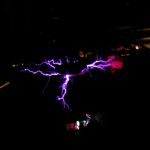 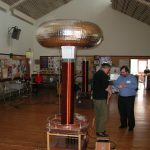 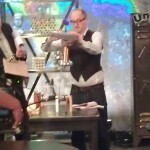 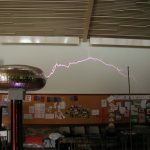 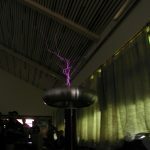 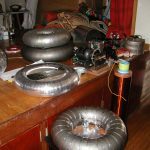 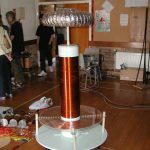 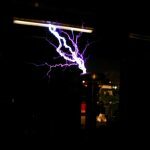 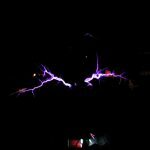 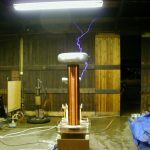 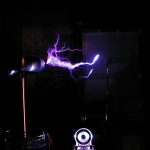 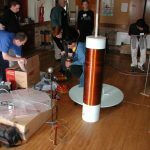 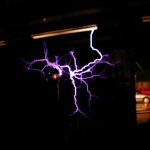 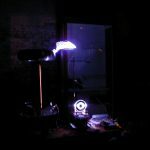 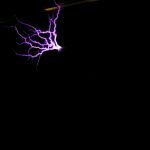 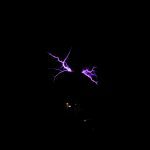 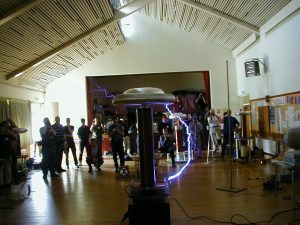 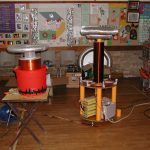 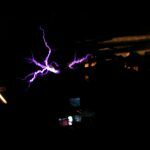 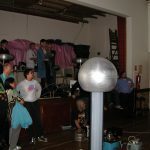 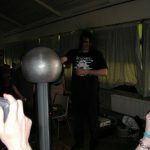 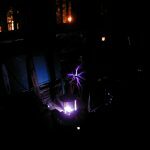 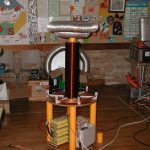 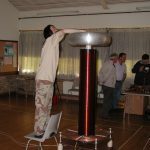 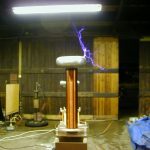 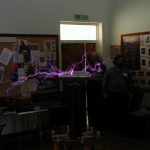 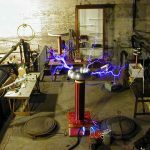 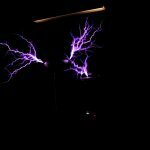 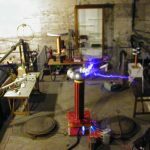 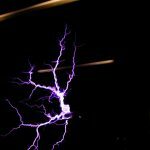 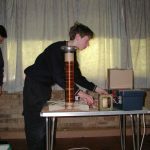 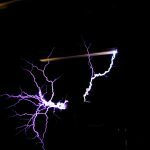 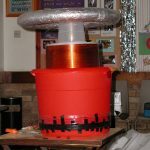 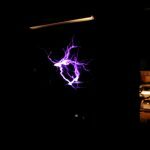 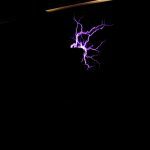 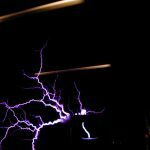 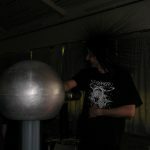 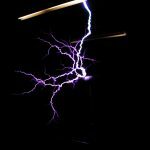 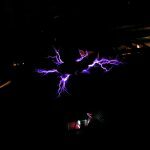 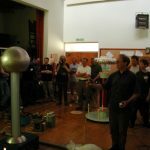 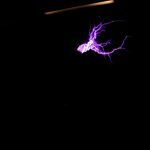 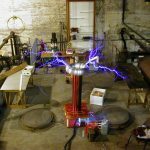 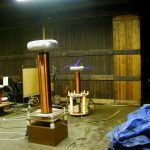 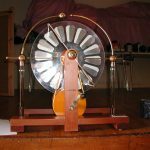 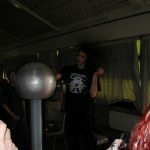 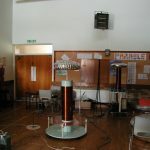 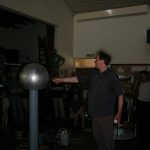 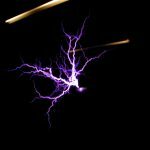 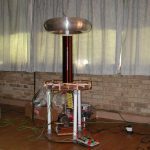 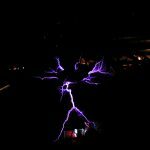 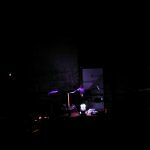 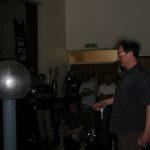 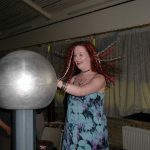 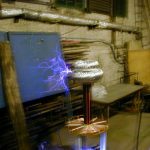 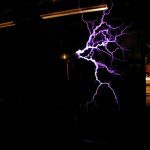 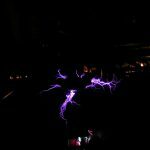 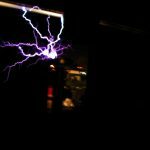 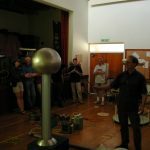 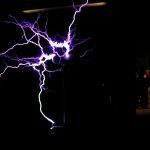 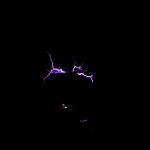 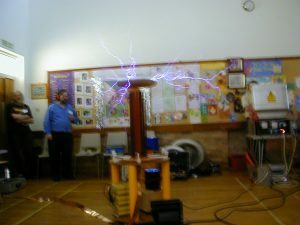 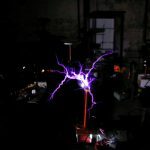 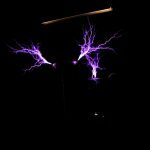 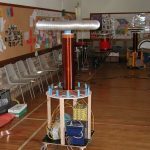 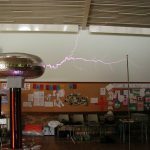 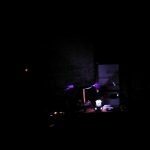 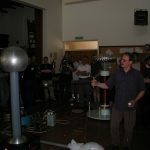 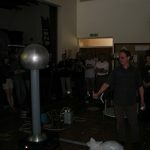 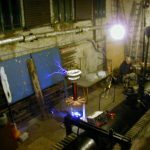 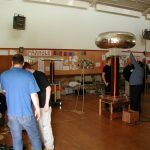 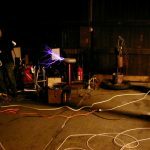 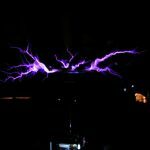 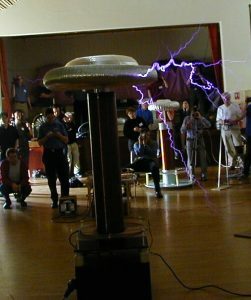 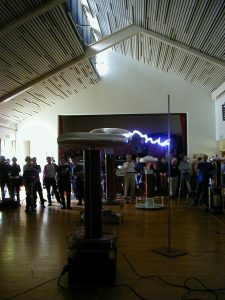 I have been tesla coiling for over 14 years now, and I have always believed that there was no way that a tesla coil could produce more power out than was applied in. 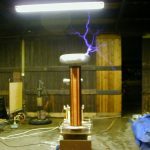 Of course there are many stories of Tesla himself creating a power system from tesla coils, but these mainly refer to his “World Power System” which was a method of distributing power, not creating it. 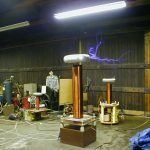 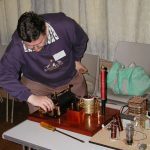 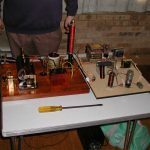 Recently I have been experimenting with car ignition coils to create the high voltage required for the input to a tesla coil and have had great success with this for a number of small coils. 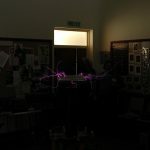 Whilst playing with this system, I noticed a strange phenomenon. 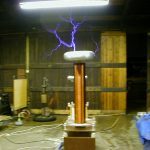 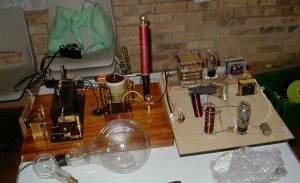 If the ignition coil was close to the primary of the tesla coil some of the large current circulating in the primary would be induced back into the ignition coil, I could even draw spark from an unpowered coil near the working tesla coil. 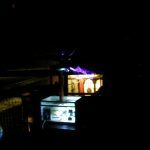 Thinking about this further I decided to put the ignition coil upside down into the secondary of the tesla coil and draw out the HV lead out and feed back into the spark gap and the unmodified primary coil / capacitor of the tesla coil. 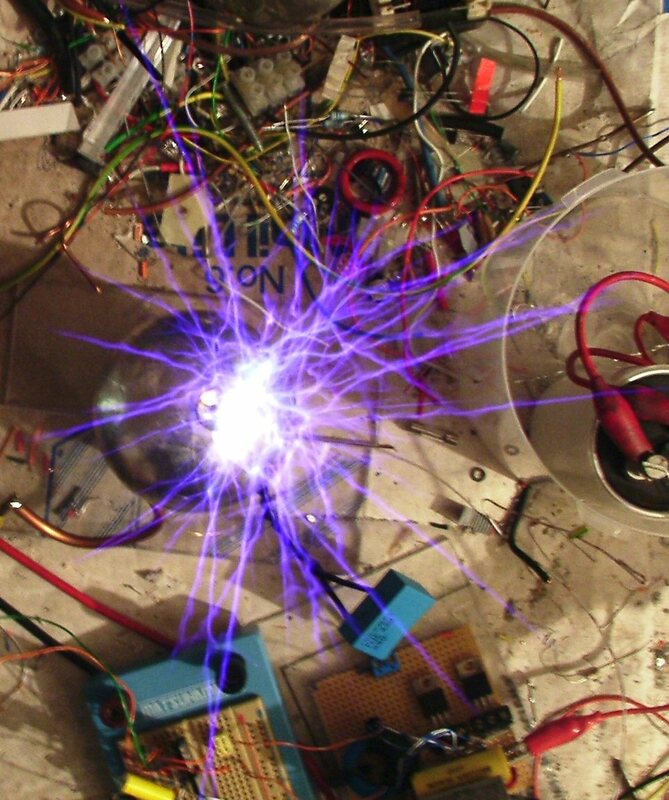 If I gave this circuit a high voltage pulse to start it, the tesla coil would power its-self for periods of up to a second. 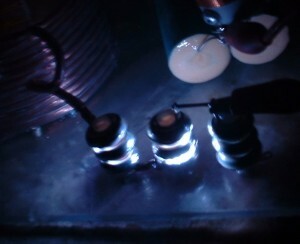 Obviously I needed to reduce the losses in the coil to maintain the process. After much playing, I can now get the tesla coil to run for fractions of a year with no extra input and with instantaneous outputs in the region of millions of Ergs per second. One drawback to this process is any tools in the vicinity acquire a blue glow which is really difficult to remove , they also give a nasty spark when you touch them. But, this important thing is, can I extract any useful power from this arrangement? 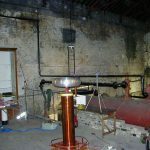 Looking in to this I attached a common kettle and unfortunately found that the device won’t power it efficiently due to the differences in the voltages needed compared to the high voltages generated , but I have used the coil to create heat directly creating temperatures of thousands of degrees C, well in excess of the temperature required to boil water, and that could be used to power a steam turbine. 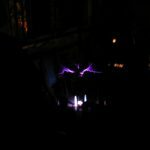 For now I will be keeping this power source’s exact details a closely guarded secret, as I would like to make millions from it, not just run my house. My prototype is happily powering my LCD clock and has been for a number of days, although I do need to clean the electrodes from time to time to maintain this level of power, so far I haven’t found a non-corrosive element better than lemon juice to keep them clean. 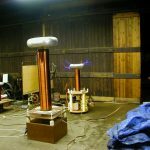 Next is to scale up the process. Unfortunately I can’t get larger ignition coils, but I can get multiple tesla coils, and I’m starting to build a system with 8 coils. 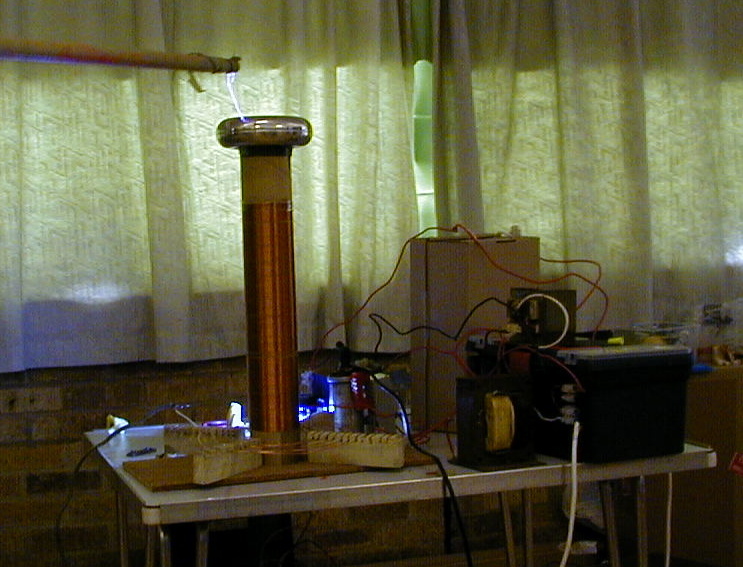 At present I can get about 300W at 10KV with this system, although it is being driven at 24V at present. 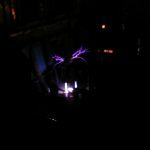 But to be able to draw 10KV from the machine is a great step up from only 24V. 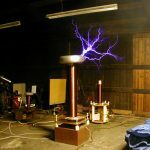 10KV is not far from the voltage(14.4kv) used in small power transmission systems that power small industrial parks, not bad from a couple of small 12V batteries.